University of Hartford catcher James Alfonso was selected by the Seattle Mariners in the 30th round of the MLB draft. The past week has been a whirlwind for James Alfonso. 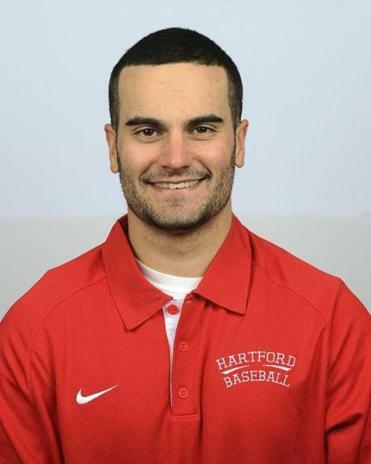 A senior catcher at the University of Hartford, the Bridgewater-Raynham Regional High grad was selected by the Seattle Mariners in the 30th round of Major League Baseball’s first-year player draft Saturday. Alfonso signed a contract Monday night. On Tuesday morning, he was on an early flight to Arizona to report at the Mariners’ minor-league camp facility in Peoria. After taking his physical and completing mini-camp, Alfonso will probably play in the Arizona League. “It’s a dream come true,” said the 22-year-old Raynham resident. The 5-foot-10, 195-pound Alfonso was a workhorse behind the plate for the Hawks; he started 51 games as a junior and 52 this season. His .302 batting average was second on the team, and he led the Hawks in hits (58) and doubles (14), and tied for the team lead with five home runs. Alfonso hit safely in 14 straight games, batting .393 over the stretch (22 of 56) with seven doubles, one triple, and three home runs. Although this was a breakout season offensively, scouts like Alfonso for his defensive skills. The catcher threw out about 25 percent of attempted base stealers this season, a number that Hartford coach Justin Blood said would be much higher if his pitching staff was more successful at holding runners on base. “I think everybody who has seen him play probably realizes that he’s a kid who can block very well, receive very well, has a good arm, and has worked hard to get better at improving his release,” said Blood. Alfonso, who spoke with scouts from the Angels, Giants, Mets, and Cubs in the days leading up to the draft, felt he might go as high as the ninth or 10th rounds. “I was getting little antsy,” said Alfonso, who models his game after St. Louis Cardinals catcher Yadier Molina. “I had heard I might go higher, and when that didn’t happen I was a little disappointed. But I knew the call would come. Undoubtedly, he also benefited from catching junior ace Sean Newcomb , the Middleborough High grad who went to the Anaheim Angels with the 15th overall selection. Scouts from nearly every club have followed the 6-foot-5, 240-pound southpaw for the last two seasons. “There were probably 30 scouts at each of his games, and I think that definitely helped myself and Brian Hunter,’’ a righthanded pitcher for Hartford chosen by the Reds in the ninth round, “to get noticed and get drafted,” said Alfonso. Blood, however, emphasized that regardless of whom he was catching, Alfonso has earned an opportunity to play at the next level. In his last start as a collegian, Sean Newcomb fired seven scoreless innings for the University of Hartford against Binghamton in the America East tournament held last month. MLB Network analyst Harold Reynolds , for one, believes the hard-throwing lefty could be in the majors by season’s end, pitching out of the bullpen for the Angels. Newcomb, who is often compared to Red Sox ace Jon Lester , was 8-2 with a 1.25 earned run average for the Hawks this season, striking out 106 in 93 1/3 innings. Foxborough’s Austin DeCarr , who has a scholarship to Clemson, went to the Yankees with the 91st selection. A 2013 graduate of Xaverian Brothers, he just completed a prep year at the Salisbury School, where he struck out 19 Taft hitters in one game earlier this season. Stonehill junior Jim Duff was selected by the Mets in the 20th round (595th overall), becoming the highest MLB draft pick in program history. The Garden City, N.Y., native is a 6-foot-6 righthander who was 8-2 with a 1.84 earned-run-average. Freshman outfielder Janet Taylor of Hanover ended the season on a strong note, batting .636 (7 for 11) with two doubles and three RBI during the final week of the season for Washington University in St. Louis. Taylor, a career .509 hitter at Hanover High, was named the Hitter of the Week by the University Athletic Association. Taylor hit .321 with two doubles, a triple, and 12 RBI in her rookie season. . . . Junior attack Molly Cox of Norwell ended the season with 40 goals and four assists for the women’s lacrosse team at Trinity. Cox scored multiple goals in 14 games, including a pair of four-goal efforts in the last six games of the season. Cox, who transferred to Trinity following her freshman season at Boston University, helped the Bantams reach the Division 3 championship game, where they fell to Salisbury, 9-6. John R. Johnson can be reached at jjohnson49@ comcast.net.